Use this simple video and see if it helps. If it reduces your symptoms and pain imagine what I can do with fourteen years of clinical experience in a session with you. It’s not uncommon to remedy the bulk of the issue in a single session. Sciatica is like many other issues I see with client where soft tissue is somehow stimulating nerves and causing pain in this cascade that won’t shut down. It’s so simple to reduce symptoms just try the video above. Feel free to contact me if you have any questions. Tense muscles that won’t go back to neutral seem to cause a huge range of pain issues I see in clients. I just find the tense areas, help release them and clients feel like it’s magic. I’m still learning about the science behind how it works but it’s the same techniques I’ve used to work no myself and my own chronic issues over the years. See you in session soon. 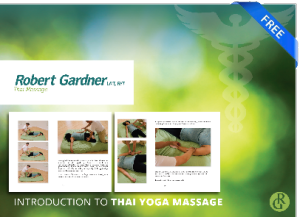 http://www.robertgardnerwellness.com/wp-content/uploads/2016/12/Robert-Gardner-Wellness-Twist.jpg 1200 1500 Robert Gardner http://www.robertgardnerwellness.com/wp-content/uploads/2013/04/Robert-Gardner-Wellness-Thai-Massage-Header2.png Robert Gardner2016-12-10 01:56:142016-12-10 01:56:14Sciatica Pain?